Easter baskets aren’t just for kids. Adults look forward to Easter as well, and look forward to goodies in their Easter basket. An Easter basket can be full of anything, so you want to have a theme. That theme can focus around something that your mother enjoys, whether it is a hobby, favorite pastime or a favorite food. Often mom runs in many directions taking care of her family. Whether she works out of the home or in an office, she probably doesn’t make much time for herself. 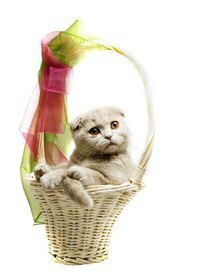 Surprise her with a basket that lets her pamper herself, which includes bubble bath, bath salts, lotions and nail polish. The basket doesn’t have to be expensive to be nice, but for a bigger budget, purchase her favorite perfume or a gift certificate to a spa for a manicure or massage. To keep with the pampering theme, include Bon Bons as these candies are synonymous with luxury and self-indulgence. If your mom loves to cook, you can fill her basket with her favorite ingredients, a new cookbook and one or two nifty little gadgets that she will enjoy. You can include exotic ingredients like saffron or truffle oil. You can choose from novelty aprons and chef hats. If your mom is a baker, you can include decadent items such as an egg separator. If your mom enjoys playing bartender, include her favorite liquor, or one that she has been wanting to try. Since she likes to cook, include baked goods like cookies or cupcakes, instead of traditional Easter candy. Stop by your local wine shop and pick out your mother’s favorite red or white wine. Then head over to your local chocolatier and pick out some decadent chocolates for your mother. Fill in the basket with wine glasses or a decanter. Sports aren’t just for dads. Fill your mom’s Easter basket with memorabilia from her favorite team. Stuff it with a sweatshirt, jersey or baseball cap from her favorite team. Also include a mug or a poster with her favorite player. For a bigger budget, try getting tickets to a game. Include candy with her team colors — like green M&M’s and Green Apple Jolly Ranchers for a Celtics fan. Decorate the basket with ribbon in the color of her favorite team. For a baseball lover, try caramel popcorn instead of candy. When your mom spends any free time out in her garden, fill her basket with gardening gloves, a hat or a sun visor and a hand shovel. Be creative with some of her favorite flowers — artificial or real, if possible. Add some gummy worms to complete the basket.